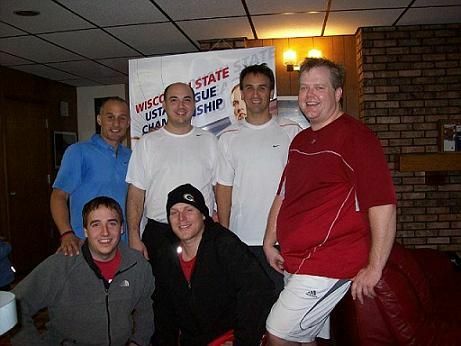 Men's Tri- Doubles Winner, Frayed Strings, Madison: back: Amil Alarcon, Paul Michos, Steve Lagman. Front: Adam Koppenhaver, Mark Heller, John Montognese. Women's Tri-Doubles Winner, GML Princeton: Back: Diane Konkel, Mary Witkowski, Cyndee Hanson. Front: Carol Roberts, Carolyn Herda, Jackie Jacoby. 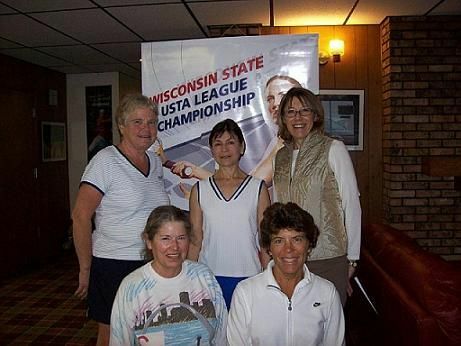 Women's Tri-Doubles Third Place, TRI Try Try, Madison: L-R, Marilyn Herbert, Linda Bolles, Kathy Lively, Debbie Woods, Karen Kollath. 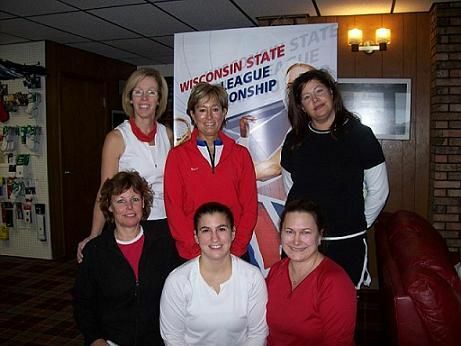 Women's Tri-Doubles Fifth Place Club West, Neenah; L-R: Imee Stamm, Margo Romberg, Rachel Sawall, Cinda Wittman, Pam Weider, Nina Nousiainen. Women's Tri-Singles 2nd Place, Hot Shots, Madison: back - Mary Dee Wenninger, Margie Moeller, Marina Haan. Front: Jane Breun, Jo Sheehan.